Dibba is very well known city situated on Strait of Hormuz. The coastline of United Arab Emirates has separated Dibba from Oman completely. Dibba has carried exclave Madha that is surrounded by the United Arab Emirates. Musandam Dibba is a small city with the population of around 29,000 but the big part of the population is in capital Khasab together with the port town based on the east coast of Dibba. History of Dibba:Oman’s Musandam peninsula exclave is from the southeastern side connected to the small town of Dibba. This town is apparent with the Emirati contribution termed as Dibba. According to golden and vast history, it was connected to the east coast of the Gulf on the large natural harbor. From the vast history, this town was previously damaged and undertaken by many colonial powers and numerous regional kings. In the age of Abbasid Caliph Al-Mu'tadid, the great battle was started in the town of Dibba for conquering Oman. The battle was fought at the wish of Iraq and Bahrain former governors. During the period of Portuguese, Dibba had around four fortresses and fortunately the biggest fortress is still there as the historical assets of Dibba. This is the natural town of date trees all around with the ancient biggest water walls to provide safe, pure, and fresh water. Dibba is blessed with the river at the northern side. Best places to visit at Dibba:The Beautiful and magical landscape of Dibba is for the people who are real lovers and seeker to explore nature and purity. Oman Musandam is the Caliph of northern region Dibba. This is the place of natural water treasures, including with too many services and fun activities offering like snorkeling, hand line fishing, and swimming for their tourists. Barren Mountain is the main highlight with the height of 2,000 meters together with 6,500 feet high above sea levels. 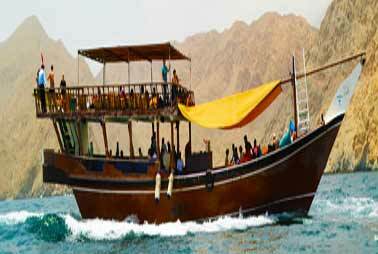 It is said that trip on cruising of Musandam Dibba is the experience of exploring pure nature too closely. You will be amazed at the every meter you go ahead. Other than the beautiful small towns and high top mountains, you are able to experience treasure and adventure of water based activities. The government has made too much effort to ensure safety, security, fun and all activities with food available for their tourists. Super gorgeous maritime wildlife and growing reefs with dhow cruise allow more and more fun for their guests. Nomad ocean adventure, deep water soloing, and a trip to sheesha Beach are the activities which no one can ever forget.